Up to 112.5 KVA 300 mm (12 in.) from combustible material unless separated from the combustible material by a heat-insulated barrier. Above 112.5 KVA Installed in a transformer room of fire-resistant construction. Up to 112.5 KVA Installed indoors Vault (With construction of reinforced concrete that is not less than 100 mm (4 in.) thick. Up to 75 KVA & Up to 600V Vault shall not be required if where the surrounding Structure is classified as fire-resistant construction. 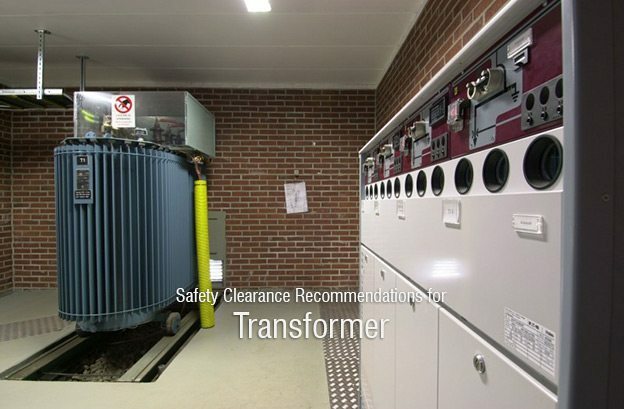 Front of the transformer must face away from the building. Take a look at this document, hope it will shed a light on this issue, which is very important I would say. Please provide the NEC reference Number regarding minimum distance between two outdoor transformer? I live in an apartment and from the electric office a transformer is being planted very near my building and outside my window. So , in this circumstance what should I do and what should be the check points and for complain where sholud I lodge them? Please help. Awaiting your early response. Mr. Prasenjit Sardar, I have an exactly similar problem. Have you got answer to your problem from any source ? If yes, please let me know the details as it will help me a lot. I am particularly interested to know what should be the minimum distance they should maintain from building line / property line for a 6 KV / 430 V transformer ? We are installing Dry type transformer of capacity 2750 KVA (11KV/433 V) inside the container with DNV certified 2.7.2 Pressurized container as the area is hazardous area Please suggest what should be the minimum distance of the transformer from the walls of the container. the walls of the container is of class A60. Also suggest the distance between two transformer as we are placing 2 transformer on the same offshore platform. Thanks for the valuable information and my comment is what is the fire min separation distance between TRFS located inside closed space? Could you let me know “NES”?? In the middle of the article, there is “NES 420.22 -Dry type transformaer”. Is this the first letter of National Electric Safety Code? or Something? I would use both measurement units, Imperial and metric? Also you should have referenced NFPA 850, UL and FM global. For tables 1 and 2, where exactly is this table referencing in the NEC? I’ve scoured all over article 450 and I don’t see anything with specific distances. Two days back punjab state elect. Board put on of tranceformer in front of my residental plot. The clearence from my plot to tranceformer pole is about 6 inches. I was planning to start construction this month. I want that traceformer should be fitted on some where else. Please can you advise how i can proceed. Do you have legal information about this issue. Even i planned to sale this plot but no one like to buy this plot. 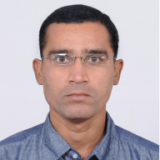 This is a very useful web site providing and sharing the design standards pertaining to electrical engineering. Recommeded for all serious electrical engineers.